hewo! 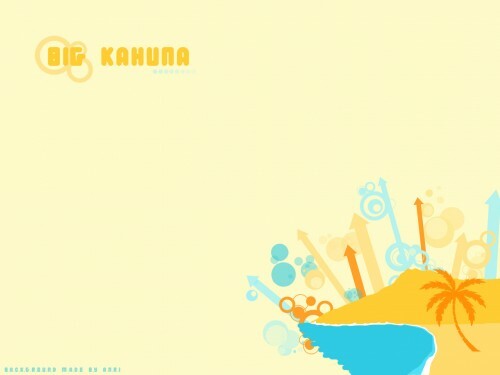 heres a hawaiian-like wallpaper from me. I hope its not too simple to be on MT. It might look like its really easy to make, but it actually took me awhile. I tried to do another vector, and I think this one looks alot better than my "welcome to dancing crab island one". I made this originally for my myspace background. thats why its so plain and simple because all my tables are transparent and if the bg was too complicated then you wouldnt be able to read the text. o yes, and it says the background was made by Anri because thats my real name. I use the name Haine online so I dont have people trying to stalk me. (just an extra precaution). but well, haha i guess its no use because I just told all of you that my real name is Anri. thats diamond head behind the palm tree, btw. Layers - ehhh...I think like 15? My favorite part - suprisingly, all of it! anyway...I like it, you did a great job.